Custard is king down in the lower keys where the Key Lime Pie reigns supreme. It is perhaps obvious why a key lime dessert might be so popular down here where key limes are grown (although many are now imported), but why custard is so popular is another matter all together. Perhaps it is because it is cool and light in a place where it is daily hot and heavy with humidity. Everyone knows baking cakes in humid weather is more than a little challenging. 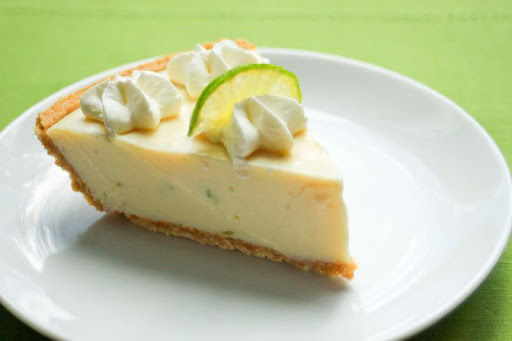 According to the incomparable Victoria Shearer (more on her to come), key lime pie was born out of necessity for the early keys inhabitants who had limited access to fresh dairy. The first key lime pies were made with eggs, condensed milk, and key lime juice. They were even made without the benefit of an oven (another boon in this climate) as the pie was “actually cooked by the high acidic content of the key lime juice.” Now, of course, we bake key lime pies for health and safety reasons. Whatever the case, you can find key lime pie anywhere in the keys as well as a number of other tasty custard-based desserts. 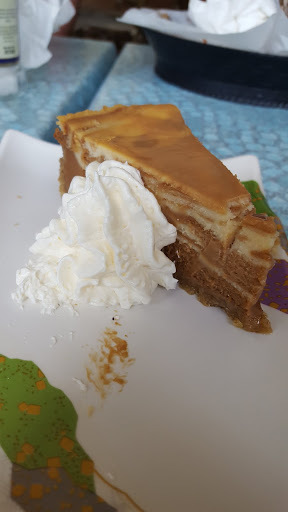 On one of our recent trips to the Wharf Bar and Grill, we ate this salted caramel cheesecake and it was incredibly good. Just the perfect balance of salt and sweet with an excellent buttery crust. At some point I hope to make my own key lime pie with key limes from my own tree, so stay tuned for that adventure. For now we buy our pie from a little bakery down the street that I will definitely write about soon since you won’t want to miss a trip there on your way to and/or from Key West.